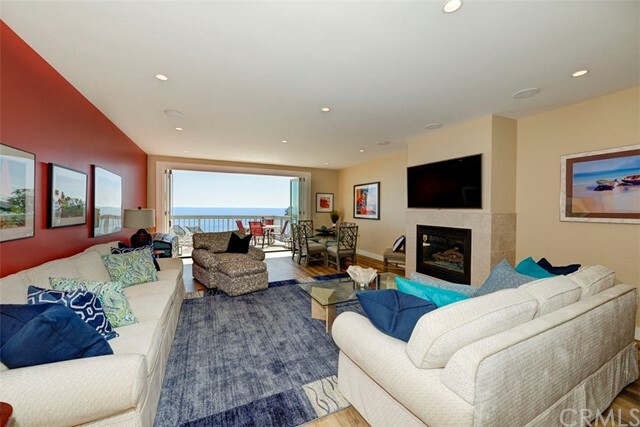 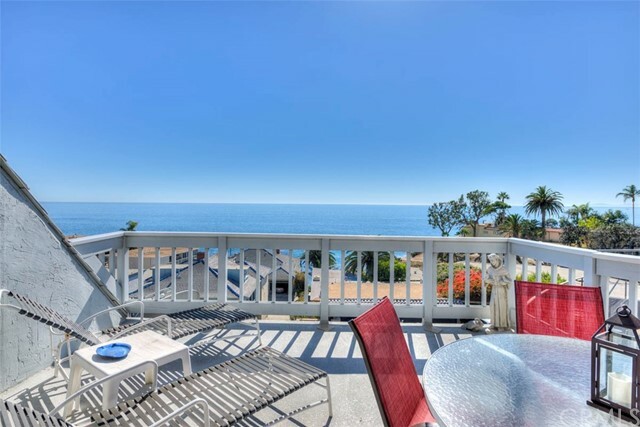 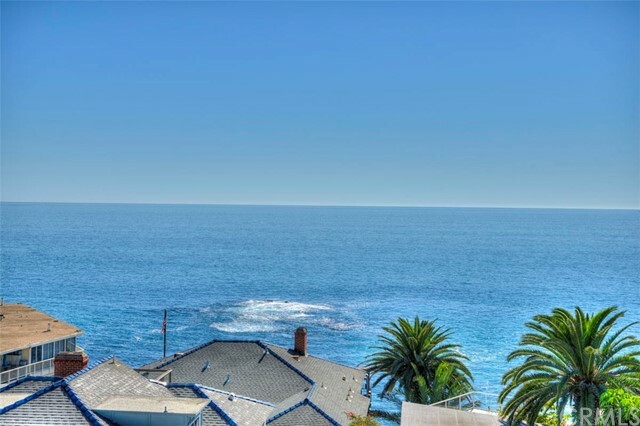 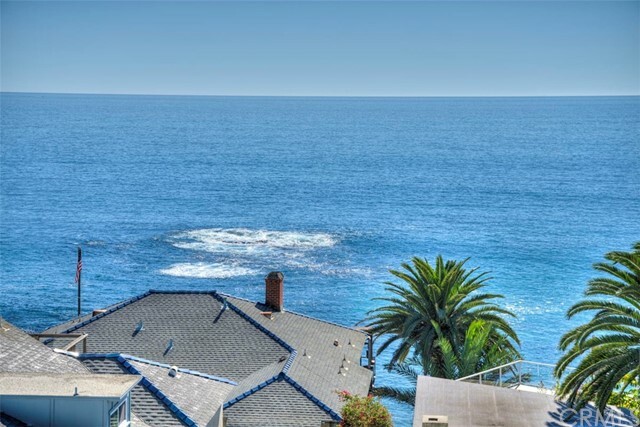 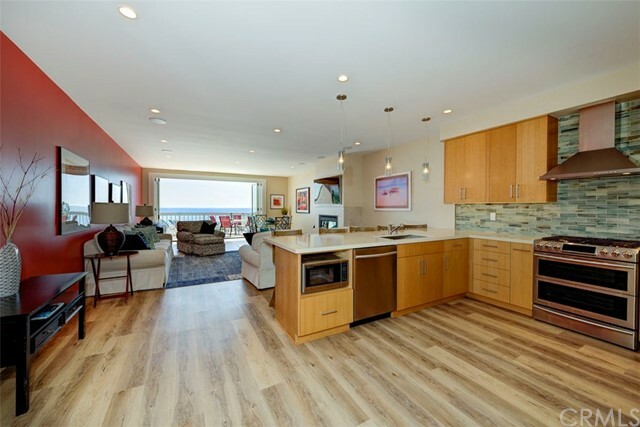 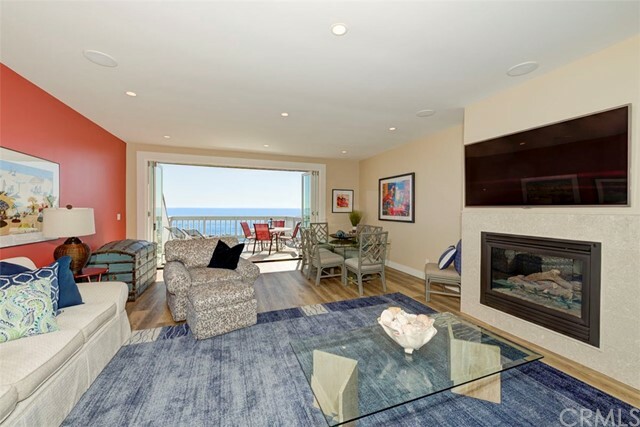 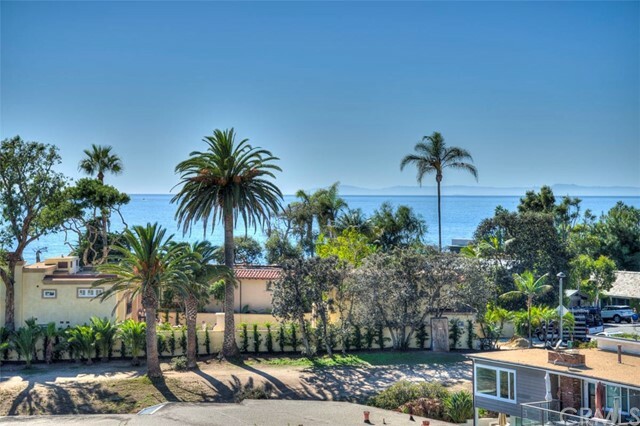 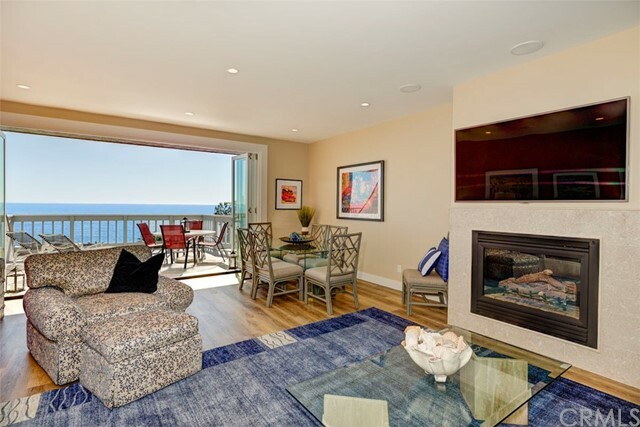 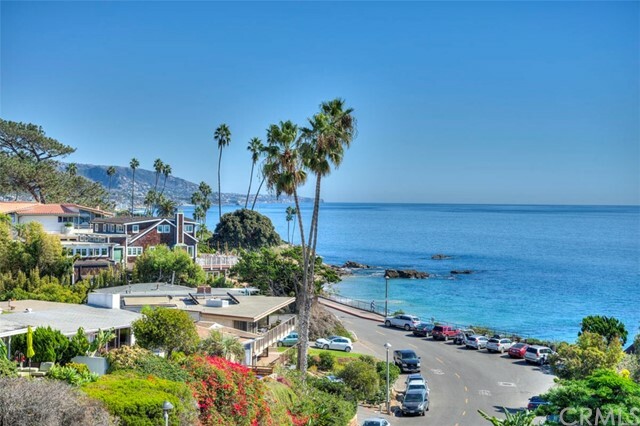 Monthly rental available in Laguna Beach! 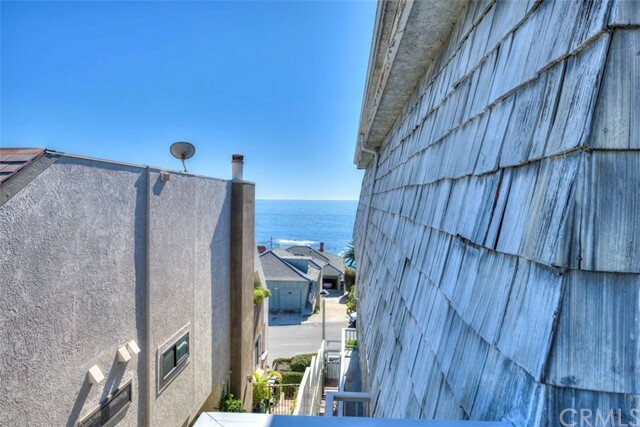 These PANORAMIC OCEAN VIEWS are unprecedented. 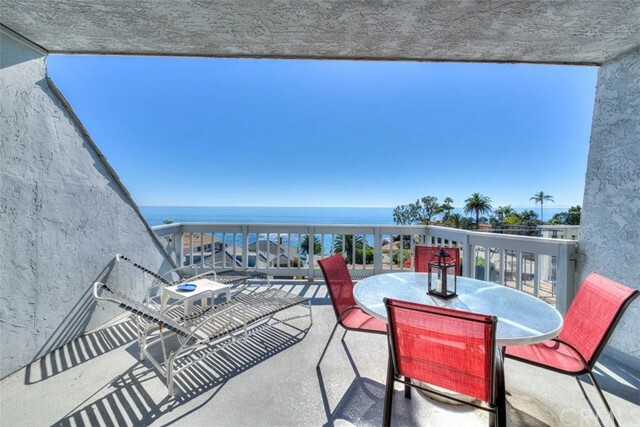 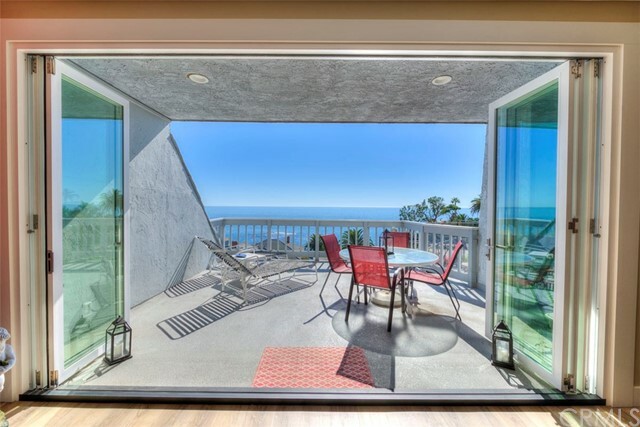 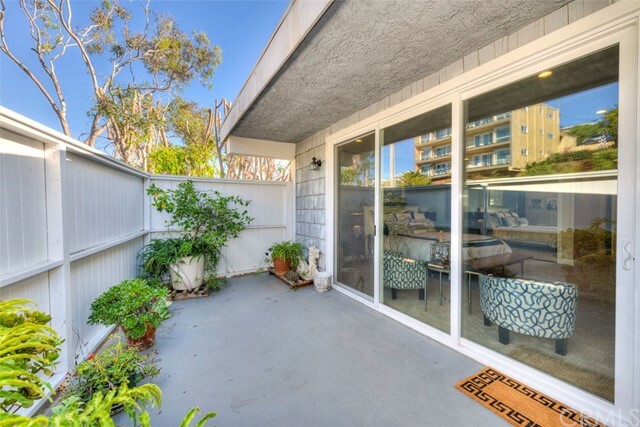 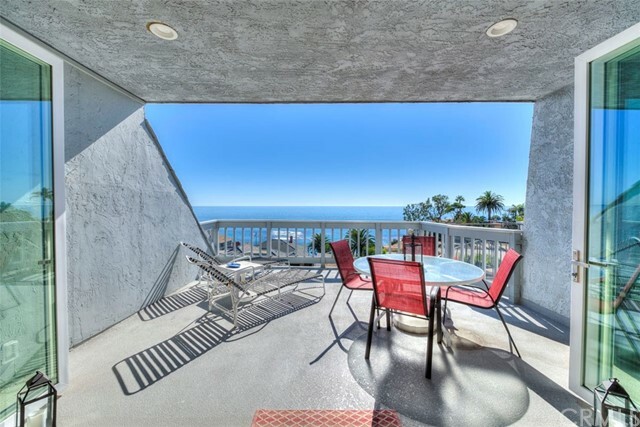 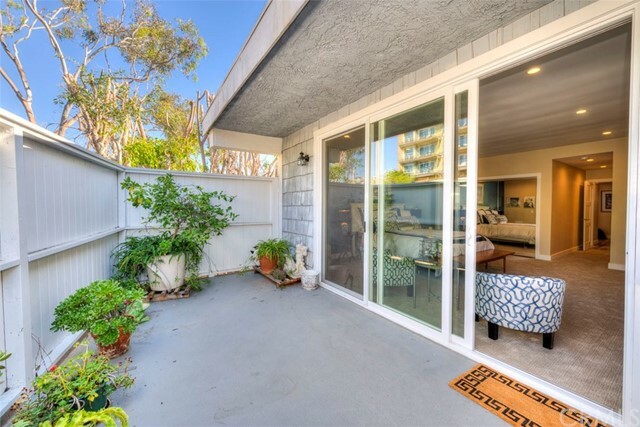 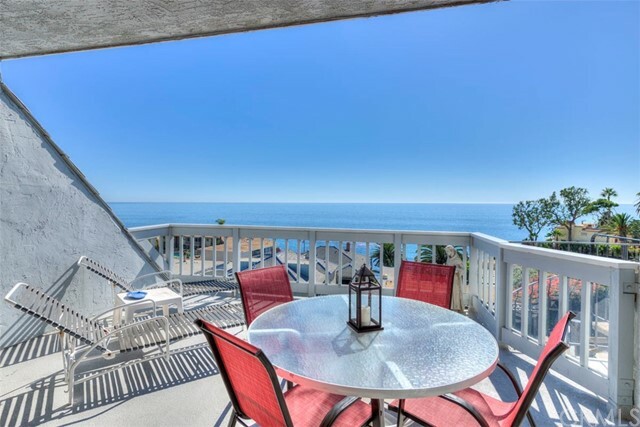 Enjoy the ocean breeze as soon as you walk in due to your accordion sliding glass doors on the balcony. 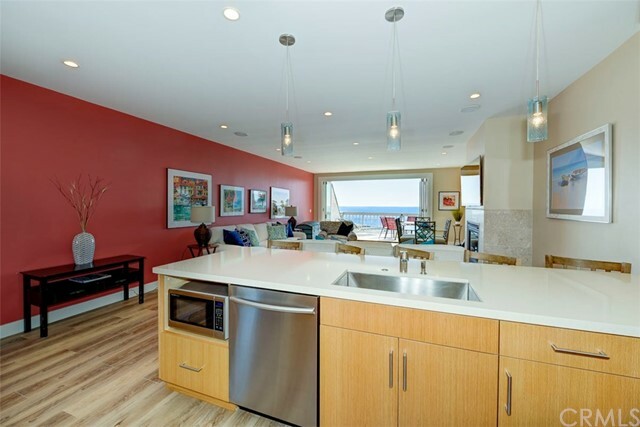 The kitchen was completely reconfigured during the renovation so now you can enjoy the view as you cook. 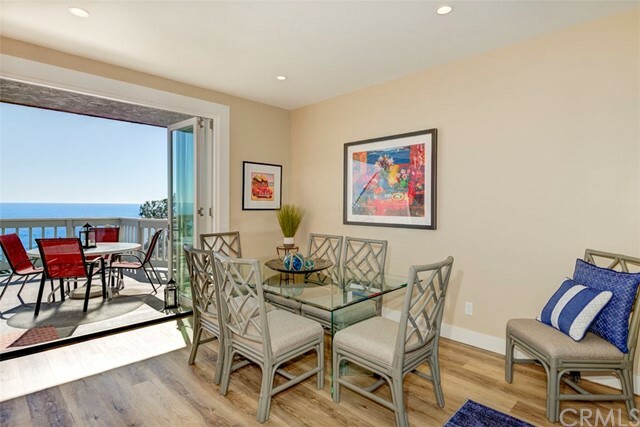 Enjoy your dinner at home watching the beautiful sunset while dining al fresco, or dine inside via candlelight with the sounds of the waves crashing onto the sand and sea lions calling out to each other. 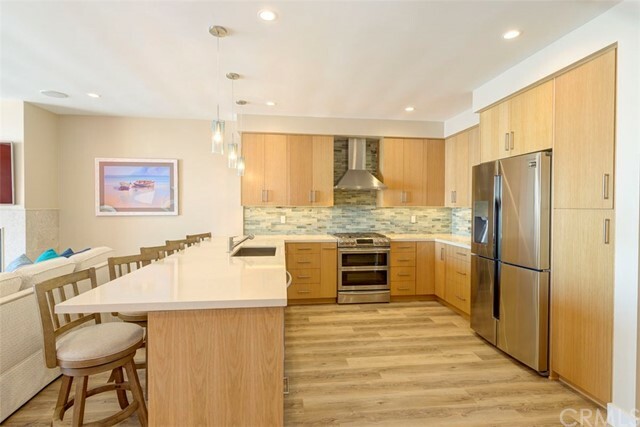 Top of the line appliances have been installed for the new tenant. 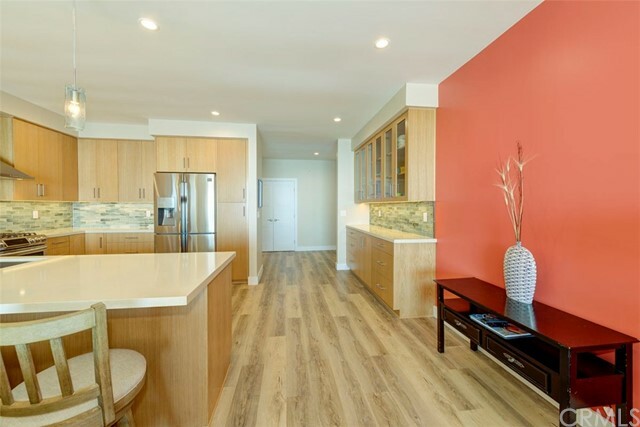 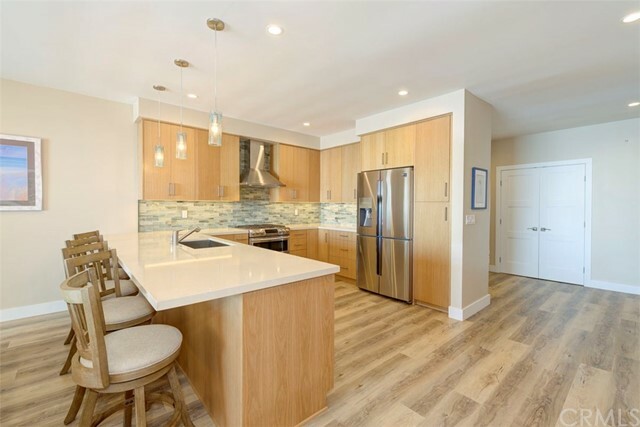 You'll love the open concept kitchen + living room which allows for better flow of space. 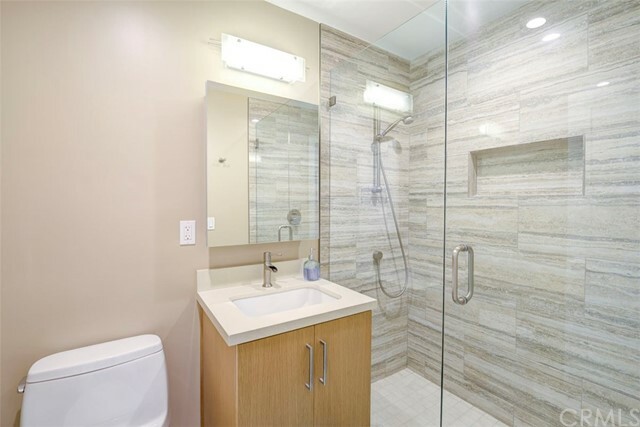 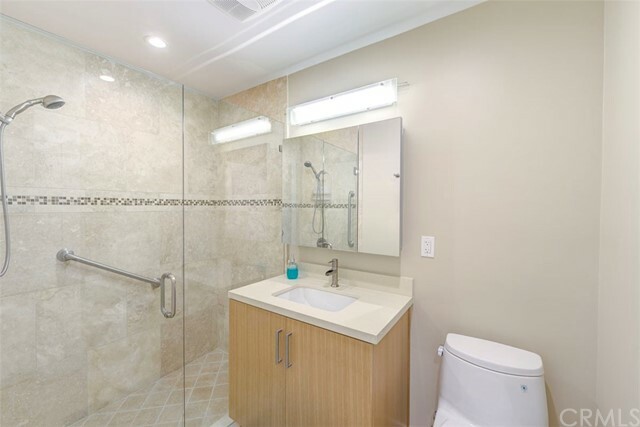 Both bathrooms have been stunningly updated with neutral stone and completed with walk in showers. 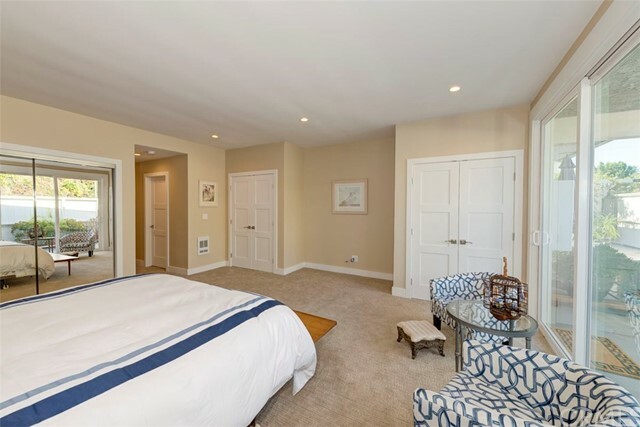 Master bedroom retreat comes with all new furniture for use including bed, dresser, and end tables. 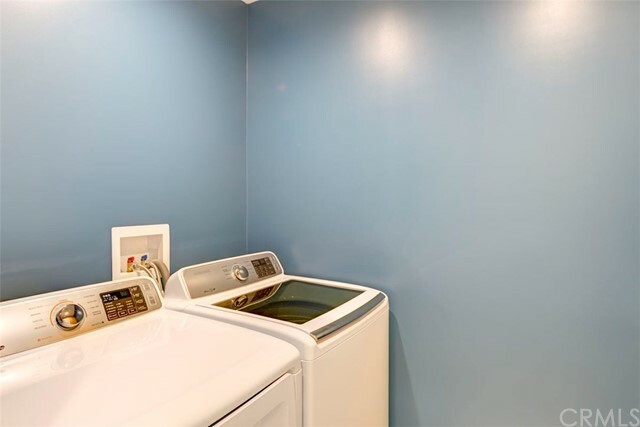 Private indoor laundry room with washer and dryer included. 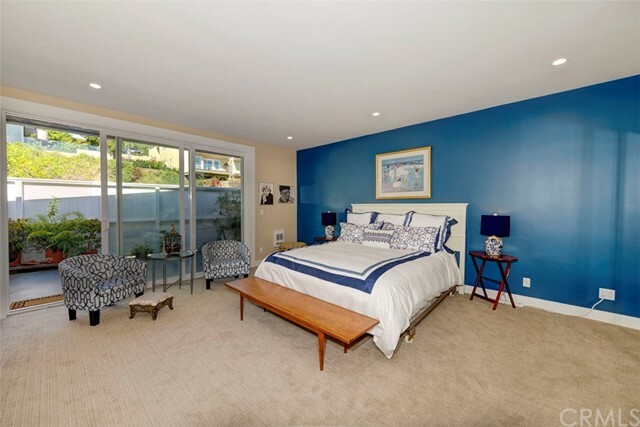 Guest bedroom can be reconfigured to suit queen bed. 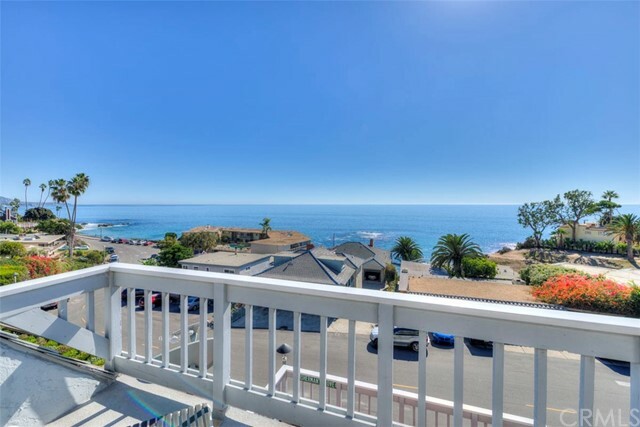 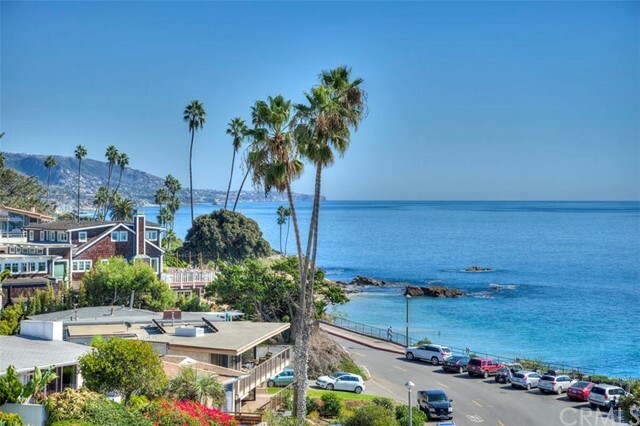 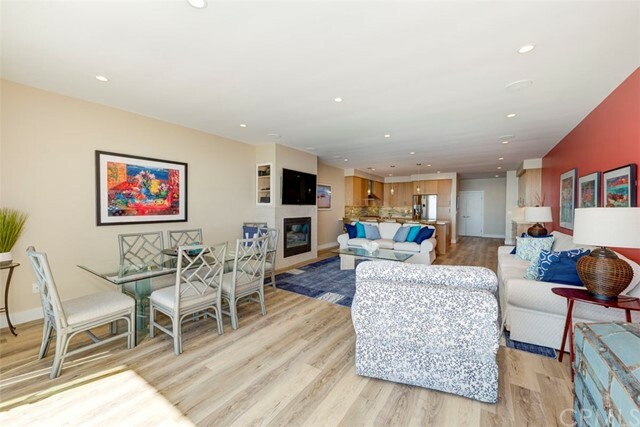 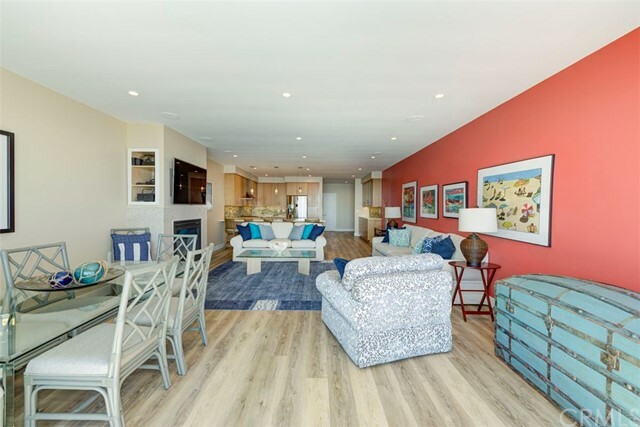 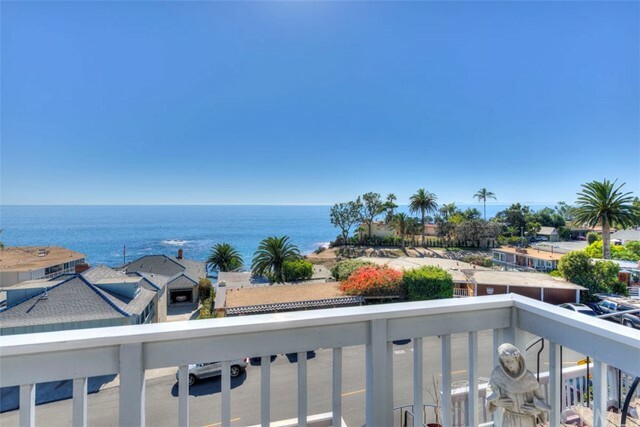 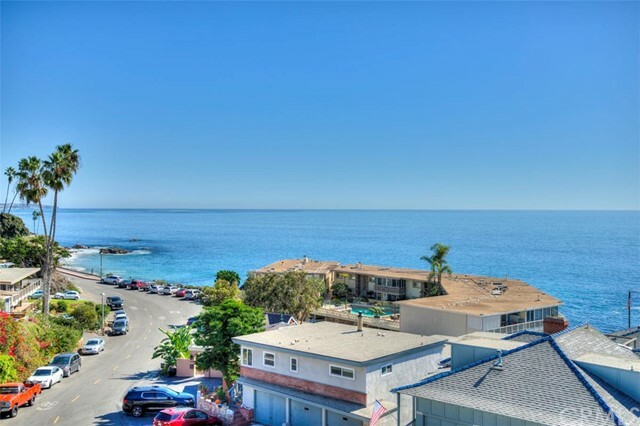 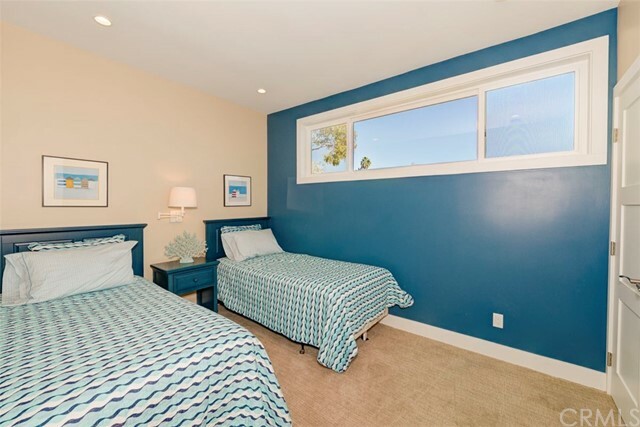 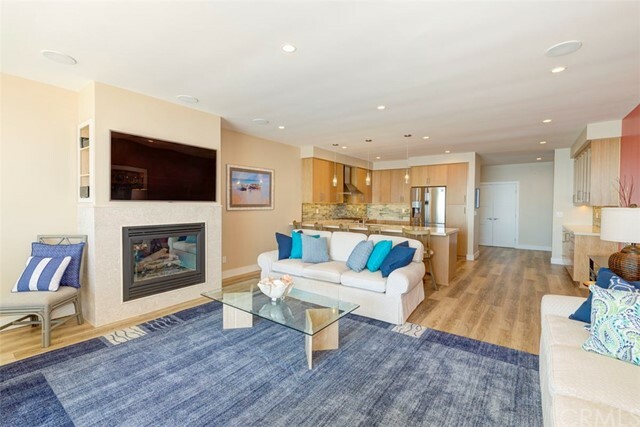 Walk across the street to Diver’s Cove, or stroll the beautiful ocean walkways through Heisler Park to Main Beach and downtown where you will find the quaint artist community that Laguna Beach is known for. 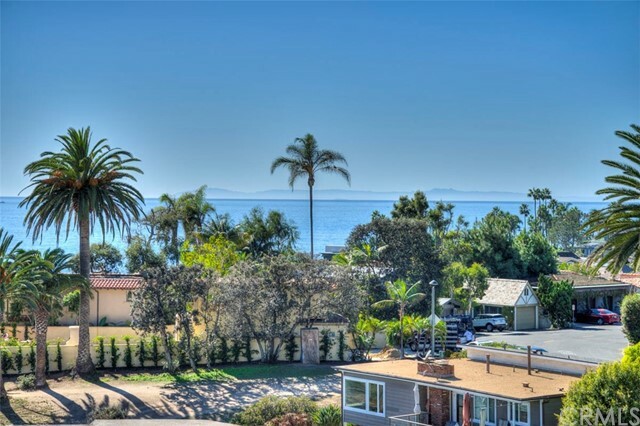 Walk directly across the street to do your marketing, pick up a latte and croissant, have your nails done, get a massage, take a yoga class, or order a pizza. 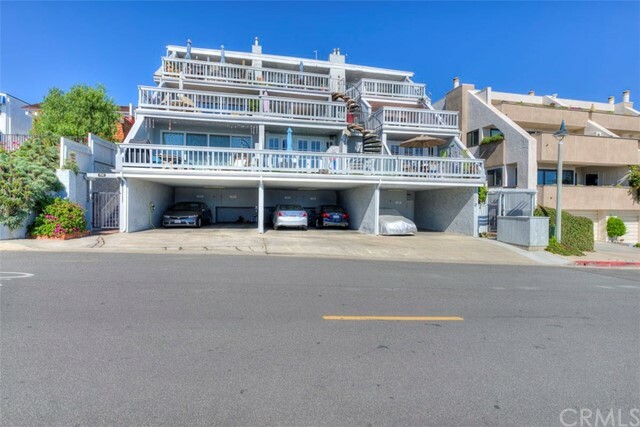 $6,000/Month through May, $10,000/Month June-September.